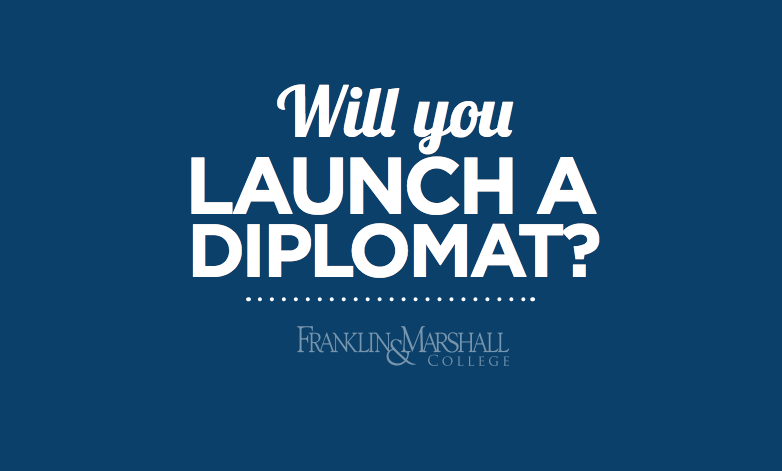 Franklin & Marshall - Will You Help Launch A Diplomat? There are many ways to give back to the F&M community and to help students and fellow alumni reach their professional goals. From presenting a webinar to serving as a mentor to registering your company as an employer in our database, you can make a difference in our community right now. Offering or referring them to a job shadow, internship or job opportunity? Presenting a workshop or webinar on a life skill (e.g. financial literacy, leadership, networking, negotiation, etc.)? Hosting an event in your area? ​Whether you can spare a few minutes for a call with a sophomore contemplating majors and career paths, or an evening to share your professional experience with recent graduates in your area, you can significantly affect the trajectory of a Diplomat this year. Become part of the community launching Diplomats globally by clicking HERE and completing a brief form. 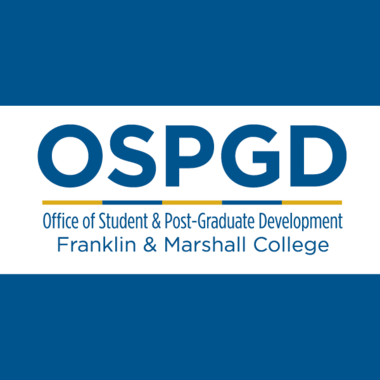 If you have any questions, please do not hesitate to contact us at 717-358-4084 or ospgd@fandm.edu. Thank you in advance for your time and mentorship!